It’s not every day that begins with a princess telling a story which starts “Once upon a time there was a little girl”. And it’s not every day you find yourself in the company of some of the brightest and most interesting minds from around the country sharing their thoughts, feelings and insights. 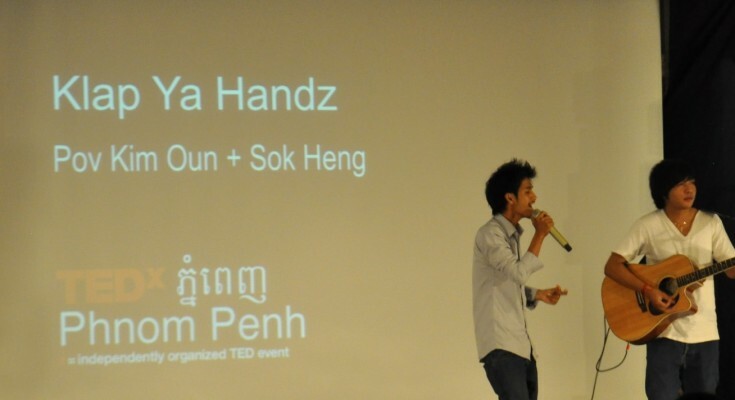 But every day isn’t June 9, 2012, the date of the second annual TEDx conference in Phnom Penh, Cambodia. This princess was Soma Norodom, niece of King Norodom Sihamoni, who was host of the event. And her story was a true tale of hope and motivation. Having been forced out of Cambodia in 1975 with her family while she was a child during the Khmer Rouge regime, returning in 2010 to care for her ailing father and working as a journalist and radio host in Phnom Penh, she introduced this year’s theme of “Aspirations. Inspirations. Generations”, illustrating it with a host of speakers who shared their knowledge. Initially launched as an off-shoot of TED (a non-profit devoted to Ideas Worth Spreading in 1984) TEDx is an independent program giving communities, organizations and individuals the opportunity to stimulate dialogue at a local level. 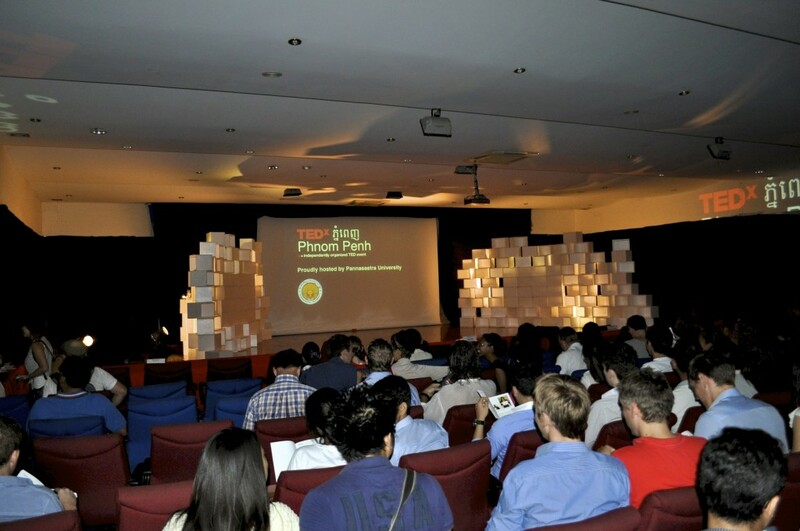 To date, more than 3,200 TEDx events have taken place in 800 cities in 126 countries around the world and last week’s event in Phnom Penh opened to a sold-out crowd of more than 500 people in a packed auditorium at the Paññāsāstra University of Cambodia (PUC). Speakers included academics, artists and adventurers. They included participants from the Khmer community as well as expats who had something significant to share. Selected several months ago by the TEDx committee, each speaker answered the questions: How relevant is your idea? How relevant are you to the program? How engaging are you? What do you have to share that will entertain, inspire or educate? Opening speaker, John Lovejoy, did all three. The quirky American spent six months in 2007 with a team of friends travelling 14,000 miles from Budapest to Cambodia in plastic Trabant cars which cost 60 Euros. As he described his gruelling and inspiring journey across deserts and mountains, dealing with breakdowns, expired visas and frigid temperatures, he told how he raised money for street children in Cambodia, discovered an inner strength he didn’t realize he possessed and left behind the message “Keep the end goal in mind”. Then there was Loven Ramos, a Filipino photographer and poet who created a way to combine art with business and coined the word ARTrepeneurship for his work, followed by Dr. Christopher McCormick, Chief Learning Officer and Head of Academic Research and Development for EF Education First, the world’s largest language school. A speaker of Russian, Mandarin, French and Spanish, Dr. McCormick described how learning a language could provide a better understanding – not only of your native language but of other people and other cultures. With a knowledge of other languages, he said, people age better, have better attitudes, write and read better and have better memories than those who are unilingual – and he illustrated it with the Nelson Mandela quote: “If you talk to a man in a language he understands, that goes to his head. If you talk to him in his language, that goes to his heart”. The intellectual AHA moment of the day was provided by Piroksa Bisits Bullen, a public health specialist who admitted to a passion for using data in her work. Through a fascinating demonstration with GapMinder software, she showed the benefits for NGOs and organizations in doing proper research when donating money to a country (or community) since they often made mistakes through lack of knowledge or awareness of their focus. Using examples from Cambodia, she showed how micro-credit can actually do more harm than good and how the most unlikely scenarios can be discovered through data. The message of her speech: Do your homework before giving money. On the local side, Sovathana Nana from Kampong Cham related how she had discovered there was a good side to problems and how she’d been inspired to overcome them and become a counsellor, radio producer and president of a youth volunteer organization. Tep Livina talked about “Inspiring Education”, describing how he “walked in as a gangster and left as a valedictorian” when he enrolled at the Institute of Foreign Languages in 2006 and became one of the best students the school ever produced. And Rotha Chan told his story about how he was raised by a poor family in the provinces, worked as a cleaner in a school in exchange for English classes and rose to his present position as senior manager at Manulife, a Canadian-based life insurance company in Cambodia. Tying together the inspirational with the practical, Kit Loring and Carrie Herbert, directors of Ragamuffin, painted a message of hope for survivors with their presentation about creative art therapy. Through visual images and a short play depicting Cambodian situations, they focused on healing emotional pain and moving on. The event concluded with Saing Darareaskmey, a young Cambodian who represented his country in the Asian Pacific Mathematical Olympiad and International Mathematical Olympiad in Europe in 2008, inspiring him to write five math books and encourage younger generations to achieve their dreams. 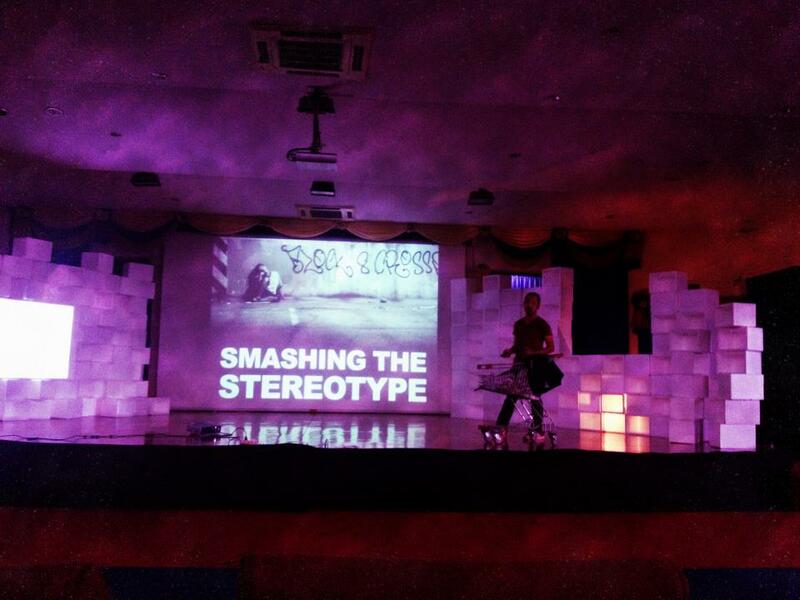 And throughout the day, there were dance and song performances – from dancers with disabilities, a band made up of garment workers and a group of independent hip hop musicians – along with videos from TEDx presenters from around the world. It was a day overflowing with information, inspiration and motivation. And also one of frustration since the audience was informed that a planned “Grand Finale” talk by several activists, including controversial monk, Loun Savath, and the son of the late environmental activist, Chut Wutty, would not be taking place due to the sensitivity of the subject. “TEDx is not a political organization and the university where we held the event felt it would be unsafe for us to go ahead with the talk,” said one of the organizers yesterday. “Nobody knew it would be happening until the last minute and we had to respect our hosts and cancel it since it was a controversial subject that might cause problems with the government”.